Did St. Paul know anything about the doctrine of the Trinity (3 Persons in 1 God) but ran out of ink to fully explain it? Or would the Trinitarian doctrine of the Athanasian Creed, for example, have been news to him if he lived in the 4th century? If even Sts. Abraham and Moses believed in the Trinity, a fortiori St. Paul did. In the Epistles [of St. Paul] we find […] witnesses to the three persons. The grace of our Lord Jesus Christ and the charity of God and the communication of the Holy Ghost be with you all. Here St. Paul attributes to three persons the granting of sanctifying grace; but God alone is the author of grace, of the remission of sin, and of salvation. We refer the reader to Job 14:4: "Who can make him clean that is conceived of unclean seed? Is it not Thou who only art? "; and to Ps. 83:12: "The Lord will give grace and glory"; and Jas. 4:6: "God... giveth grace to the humble." one body and one Spirit,... one Lord (namely, Christ), one faith, one baptism. One God and Father of all, who is above all, and through all, and in us all. The equality of the persons is inferred from the fact that the three together confer grace, of which God alone is the author. This was St. Athanasius' great argument: God alone deifies. The entire introduction is worth reading because it gives the full early history of the deepening/development of the doctrine of the Trinity. Perhaps one of the clearest indications that Paul thought Jesus was Yahweh comes from the fact that he used Monotheistic Old Testament passages which uniquely referred to Yahweh and applied them to the Lord Jesus Christ (Romans 10:13 cf. Joel 2:32; 1 Cor. 1:31 cf. Jer. 9:24; 1 Cor. 2:16 cf. Isa. 40:13; 1 Cor. 10:26 cf. Ps. 24:1; 2 Cor. 10:17 cf. Jer. 9:24 for just a few examples). 1 Corinthians 2:16, for example, alludes to Isaiah 40:13 which is in the context of some of the most explicit monotheistic statements in the entire Old Testament (cf. Isaiah 40:13-28; 43:10; 44:6, 8; 45:5). Paul also described Jesus as Creator, "Yet for us there is but one God, the Father, from whom are all things and we exist for Him; and one Lord, Jesus Christ, by whom are all things, and we exist through Him." (1 Cor. 8:6). Yes, but I think we would be wise to distinguish between fleshed out Trinitarian doctrine (largely the result of combating misunderstandings), and the core deposit that God, His Son, and the Holy Ghost are (i.e. the one) God. I don't think it was developed beyond this point in the Apostolic Era, apart from the roles of the respective Persons, of course, without question. But as I said in another of my answers, St. Paul didn't go around preaching that Christ was homoousios, for examle, and such things, not because 'Paul didn't believe in the Trinity' (as you prove he did in your own answer succintly) but because exist more or less only due to the fact that a heresy threatened the doctrine of God in such a way as to make such distinctions and precision necessary—even according to the most harsh view of the Trinity, this would have to be conceded as plain fact. And of course you can apply this to the rest of the precise theological distinctions. But you cannot deny that the essence of the Trinity (read: the Trintiy) was believed (that is to say, all that implies what was later fleshed out). Because you cannot believe in the divinity of the Father, Son and Holy Ghost (which the New Testament shows was the case) and yet deny any one of the 'fleshed out' implications, such as homoousios, or the hypostatic union (over and against Monophysitism which demands a change in the Divine Nature, or a mixing with creation). It definitely wouldn't have been news to him if he lived in the fourth century, unless he lived under a rock, had his ears plugged, and was in communion with no Christian church from anywhere! "... For, as God lives, and as the Lord Jesus Christ and the Holy Ghost live.."
"O Lord God almighty ... I bless you and glorify you through the eternal and heavenly high priest Jesus Christ, your beloved Son, through whom be glory to you, with Him and the Holy Spirit, both now and forever"
"In Christ Jesus our Lord, by whom and with whom be glory and power to the Father with the Holy Spirit for ever" ... "We have also as a Physician the Lord our God Jesus the Christ the only-begotten Son and Word, before time began, but who afterwards became also man, of Mary the virgin. For ‘the Word was made flesh.' Being incorporeal, He was in the body; being impassible, He was in a passable body; being immortal, He was in a mortal body; being life, He became subject to corruption, that He might free our souls from death and corruption, and heal them, and might restore them to health, when they were diseased with ungodliness and wicked lusts." "For, as we acknowledge a God, and a Son His Logos, and a Holy Spirit, united in essence,—the Father, the Son, the Spirit because the Son is intelligence, reason, wisdom of the Father, and the Spirit an effluence, as light from fire; so also do we apprehend the existence of other powers, which exercise dominion about matter, and by means of it." "The Church, though dispersed throughout the whole world, even to the ends of the earth, has received from the apostles and their disciples this faith: . . . one God, the Father Almighty, Maker of heaven, and earth, and the sea, and all things that are in them; and in one Christ Jesus, the Son of God, who became incarnate for our salvation; and in the Holy Spirit, who proclaimed through the prophets the dispensations of God, and the advents, and the birth from a virgin, and the passion, and the resurrection from the dead, and the ascension into heaven in the flesh of the beloved Christ Jesus, our Lord, and His manifestation from heaven in the glory of the Father ‘to gather all things in one,' and to raise up anew all flesh of the whole human race, in order that to Christ Jesus, our Lord, and God, and Savior, and King, according to the will of *the invisible Father, ‘every knee should bow, of things in heaven, and things in earth, and things under the earth, and that every tongue should confess; to him, and that He should execute just judgment towards all..."
"And the address in the Timœus calls the Creator, Father, speaking thus: ‘Ye gods of gods, of whom I am Father; and the Creator of your works.’ So that when he says, ‘Around the king of all, all things are, and because of Him are all things; and he [or that] is the cause of all good things; and around the second are the things second in order; and around the third, the third,’ I understand nothing else than the Holy Trinity to be meant; for the third is the Holy Spirit, and the Son is the second, by whom all things were made according to the will of the Father." "A man, therefore, even though he will it not, is compelled to acknowledge God the Father Almighty, and Christ Jesus the Son of God, who, being God, became man, to whom also the Father made all things subject, Himself excepted, and the Holy Spirit; and that these, therefore, are three. But if he desires to learn how it is shown still that there is one God, let him know that His power is one. As far as regards the power, therefore, God is one. But as far as regards the economy there is a threefold manifestation, as shall be proved afterwards when we give account of the true doctrine." "...All are of One, by unity (that is) of substance; while the mystery of the dispensation is still guarded, which distributes the Unity into a Trinity, placing in their order the three Persons—the Father, the Son, and the Holy Ghost: three, however, not in condition, but in degree; not in substance, but in form; not in power, but in aspect; yet of one substance, and of one condition, and of one power, inasmuch as He is one God, from whom these degrees and forms and aspects are reckoned, under the name of the Father, and of the Son, and of the Holy Ghost." "If Christ Jesus, our Lord and God, is himself the high priest of God the Father; and if he offered himself as a sacrifice to the Father; and if he commanded that this be done in commemoration of himself, then certainly the priest, who imitates that which Christ did, truly functions in place of Christ"
"For if the Holy Spirit were not eternally as He is, and had received knowledge at some time and then became the Holy Spirit, if this were the case, the Holy Spirit would never be reckoned in the unity of the Trinity, i.e., along with the unchangeable Father and His Son, unless He had always been the Holy Spirit." "...the divine benefits [are] bestowed upon us by Father, Son, and Holy Spirit, which Trinity is the fountain of all holiness..."
"And under this rule must be brought also the understanding of the sacred Scripture, in order that its statements may be judged not according to the worthlessness of the letter, but according to the divinity of the Holy Spirit, by whose inspiration they were caused to be written." "Now this expression which we employ – ‘that there never was a time when He did not exist’ -- is to be understood with an allowance. For these very words ‘when’ or ‘never’ have a meaning that relates to time, whereas the statements made regarding Father, Son, and Holy Spirit are to be understood as transcending all time, all ages, and all eternity. For it is the Trinity alone which exceeds the comprehension not only of temporal but even of eternal intelligence; while other things which are not included in it are to be measured by times and ages"
"There is a perfect Trinity, in glory and eternity and sovereignty, neither divided nor estranged. Wherefore there is nothing either created or in servitude in the Trinity; nor anything superinduced, as if at some former period it was non-existent, and at some later period it was introduced. And thus neither was the Son ever wanting to the Father, nor the Spirit to the Son; but without variation and without change, the same Trinity abides forever." Gregory Nazianzen, Orations [374A.D.) "But the faithful worship the Father and the Son and the Holy Spirit, one Godhead; God the Father, God the Son and (do not be angry) God the Holy Spirit, one nature in three personalities, intellectual, perfect, self-existent, numerically separate, but not separate in godhead." "[The Antiochenes] confess the Father and the Son and the Holy Spirit to be consubstantial, three hypostases, one essence, one divinity. That is the true faith which has been handed down by the fathers..."
"The substance of the Trinity is, so to say, a common Essence in that which is distinct, an incomprehensible, ineffable Substance. We hold the distinction, not the confusion of Father, Son, and Holy Spirit; a distinction without separation; a distinction without plurality; and thus we believe in Father, Son and Holy Spirit as each existing from and to eternity in this divine and wonderful Mystery: not in two Fathers, nor in two Sons, nor in two Spirits." You really would have to be an imbecile to be taken by surprise by the Trinity in the fourth century, or as shown here, even the first. All that has changed since the first century are rather expendable precise details of the Trinity, not that it isn't true or believed that the Father, Son and Holy Ghost are God. Not the answer you're looking for? 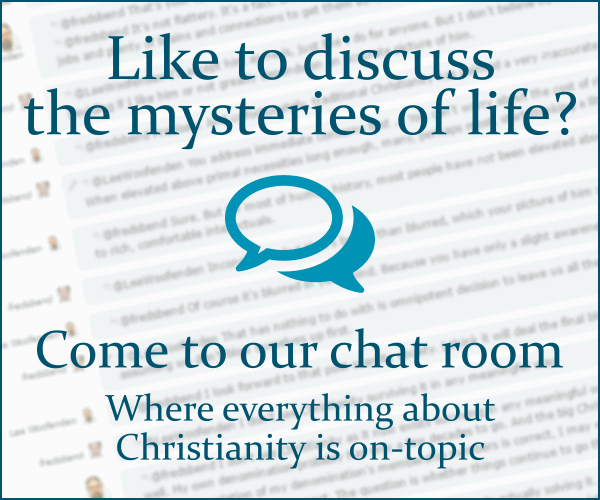 Browse other questions tagged catholicism trinity paul-apostle or ask your own question. Which Person(s) of the Trinity were in Jesus? The Apostle Paul and the doctrine of forgiveness?